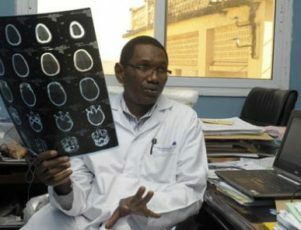 Health Archives - Africa M.E. 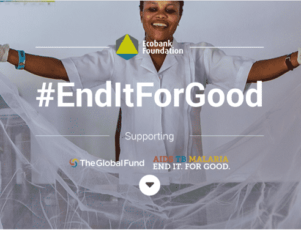 The Pan-African bank, Ecobank, recently committed a further 3 years of funding for its work with the organization the Global Fund, in the battle to fight AIDS, Malaria and Tuberculosis (TB) in Africa. Ecobank first partnered with the Global Fund in 2013, and at a signing ceremony in Montreal, Canada, the bank confirmed its additional funding for the various projects that target 3 of Africa’s most deadly diseases. The Global Fund is an organization committed to ending the epidemics of AIDS, Malaria and TB, and it works closely with governments and the private sector to help fund initiatives to combat these diseases in over 100 nations. Although the body is committed to its cause on a global scale, it is Africa that suffers the most from AIDS and Malaria in particular, and as an African enterprise, Ecobank has shown that it views the battle as part of its responsibilities. The Ecobank Foundation is the branch of the bank responsible for funding social programs across Africa, and Ecobank CEO, Ade Ayeyemi, pledged that a further $3 million of funding would be made available to the work that the Global Fund is carrying out within the continent. Funding from the Global Fund has provided 659 million mosquito nets to families, given TB treatment to 15.1 million people, and provided antiretrovirals to 9.2 million HIV sufferers. It is evidently essential to reduce the number of people suffering and dying from treatable diseases, in order to create an environment that allows people to improve their economic situations. While some of the tools needed for fighting 3 of Africa’s biggest killers are obvious purchases, such as mosquito nets, it is also necessary to help nations organize their use of funds. The Ecobank Foundation joined with the Global Fund to help countries not only receive greater funding for health schemes, but to manage their funds more effectively. Support was provided to grant recipients in Nigeria, South Sudan and Senegal over the past 3 years, and it is great news for ongoing projects that Ecobank has committed itself to at least 3 more years of backing. The Ecobank Foundation CEO, Julie Essiam, signed the extension to their partnership with Global Fund with the Executive Director of Global Fund, Mark Dybul. It is to be hoped that such partnerships encourage further investors to help support changes that the whole of Africa, and the wider world, will benefit from. Zambia is currently in the midst of the worst drought the country has faced ever. Partly due to the El-Niño weather cycle, the lack of water has severely affected large swathes of the country notably in the southern regions where rainfall is particularly low. In order to fight dramatic consequences of drought on Zambia’s most affected regions in 2015 the government focused on sun as a resource to help address the crisis by developing solar technology. The success of the Kazungula schemes has prompted plans for 200 installations of solar powered pumps across Zambia that the CSS hopes to complete within two years. 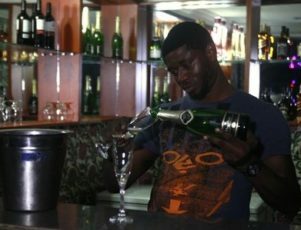 According to Zambia’s Ministry of Finance droughtshave costs the economy an estimated US$13.8 billion over the last 30 years. Solar schemes have then turned out to be real value for money to local and national governments. For instance, the three projects in Kazungula cost a mere $6,100 dollars. What’s more, the costs of solar installations have plummeted almost 50% over the last year. 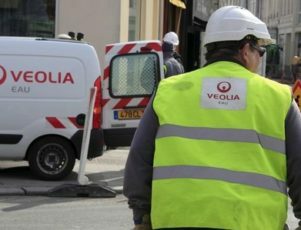 Contractors are now bidding to provide solar schemes at lower cost per MW than coal-fired generators, the cheapest historical source of energy. 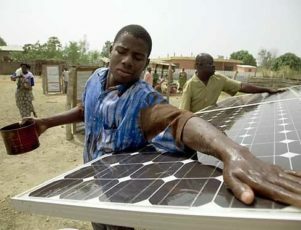 Solar pumping solutions like those recently used in Zambia are now being recognized as a major tool to be utilized across the African continent to fight drought consequences. With the obstacle of price removed solar energy with its many applications is set to proliferate throughout Africa. 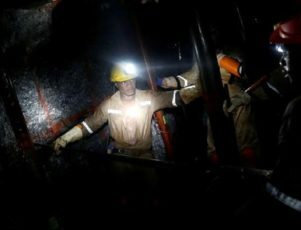 For nations such as Zambia which rely heavily on hydroelectric plants drought has placed a major strain on power production. As a result there has been a major shift to chopping and burning lumber for energy. Unfortunately this can negatively affect the water system, causing instability to recharge rates while affecting runoff to bodies of water. In the long term solar installations can help to address the energy shortage but major schemes take time to implement. Similarly, oversight is needed to manage borehole schemes themselves. Excessive drilling can cause serious consequences for the long term health of water systems. Water management is complex, and governments need to make sure the correct expertise and regulation is in place. If properly managed solar-pumping projects can become a significant ally to Africa in its fight against drought. Stony Brook University has a longstanding relationship with Madagascar, which has one of the most important and diverse ecosystems in the world. For three decades, scientists and students at Stony Brook’s ValBio Center, a 15,000-square- foot research station, have worked the island residents to bolster conservation efforts while improving residents’ quality of life. The center is located on the edge of Madagascar’s Ronamafana National Park. The university’s Global Health Institute, which has a $10 million endowment, is teaming up with Vayu, Inc., a Michigan aviation company that was launched in 2014. With more than $1.1 million in investment, the start up is focused on building affordable drone technology to provide medical aid and supplies across rugged terrain and during times of disaster. The drone can take off and land like a helicopter and is able to fly long distances. 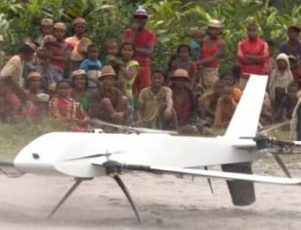 With the backing of Madagascar’s government and the U.S. Agency for International Development, the project recently achieved the world’s first long-range, autonomous drone flight. The drone collected blood and stool samples from rural villages and flew them to the ValBio center for testing. Small said the potential of drone technology to improve health care in remote areas is enormous. For example, he said a health worker who cannot diagnose a cough in a patient might be able to use a beacon to call a drone. The drone could then collect a sputum sample and fly it to lab for diagnosis then fly medications back to the patient’s location. The entire operation might take as little as a couple of days, he noted. “Drones will find innumerable uses, such as accelerating diagnosis of tuberculosis and ensuring delivery of vaccines,” Small said. Tuberculosis and many other diseases that plague developing countries, require diagnosis in a lab and stool and blood samples must be transported quickly. That is why it is critical in places like Madagascar to find an alternative to cumbersome travel by road or pathway. The organizers believe their partnership will produce significant progress in delivering quick diagnosis and medications for remote communities that lack health care professionals or facilities. Vayu in particular was founded with the purpose of developing drones for medical transport in hard-to- reach areas. “Vayu’s accomplishment is significant for public health in developing countries, where limited access hinders healthcare and it is for the future of autonomous unmanned vehicles,” said Vayu’s CEO, Daniel Pepper, a former international journalist and medical student-turned- founder of Vayu. The project could have global impact. Stony Brook University President Samuel L. Stanley Jr., MD, a nationally renowned expert in emerging infectious diseases, believes that the benefits of this partnership will likely expand well beyond Madagascar. “Global health is an immediate problem for everyone,” he said, noting that commonplace air travel has shattered natural isolation. “Advances in health delivery and implementation (in other parts of the world) can have positive impacts in the U.S. as well. 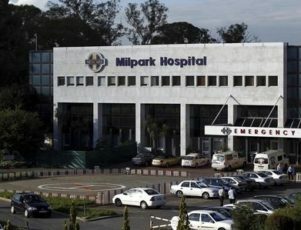 The benefits of promoting health worldwide are immense.” A similar effort is already under way in Rwanda, were a Silicon Valley start up is using drones to deliver medicine and blood to patients. Zipline International said the unpiloted aircraft will transport supplies to hospitals and medical centers around the country, forming the world’s first national drone delivery system. Zipline International said it plans to expand the service to other countries later this year.